Vietnam War prostestors in 1968 Image by Phil Portlock used with permission. In this famous speech, Dr. King allegorically tells the story of Rip Van Winkle who fell asleep for 20 years to awaken to a world he didn’t recognize. He speaks on how the United States was undergoing three revolutions in the realms of technology, weaponry, and human rights. He laid out how as a society, we must find a way to develop a world perspective, eradicate racism and economic injustice, end poverty, and find an alternative to war. DC photographer Phil Portlock speaking at the Building Museum event. Image by the author. 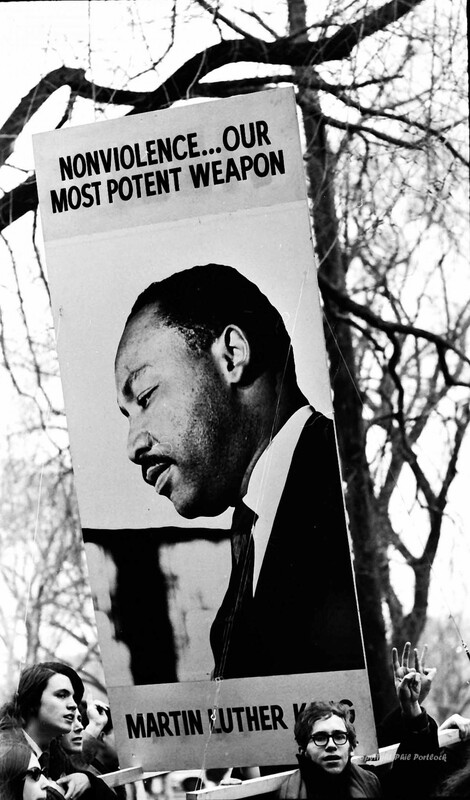 Days later on April 4, Dr. King was assassinated. For the next four days, protests sprang up around the District and parts of the city burned. The upheaval was a symptom of the hurt and anger many felt after the assassination, as well as frustration with discriminatory housing policies, income disparities, underemployment, and over-policing that targeted and disproportionately harmed African-Americans. 7th Street NW in DC after Dr. King's assassination. Image by Phil Portlock used with permission. 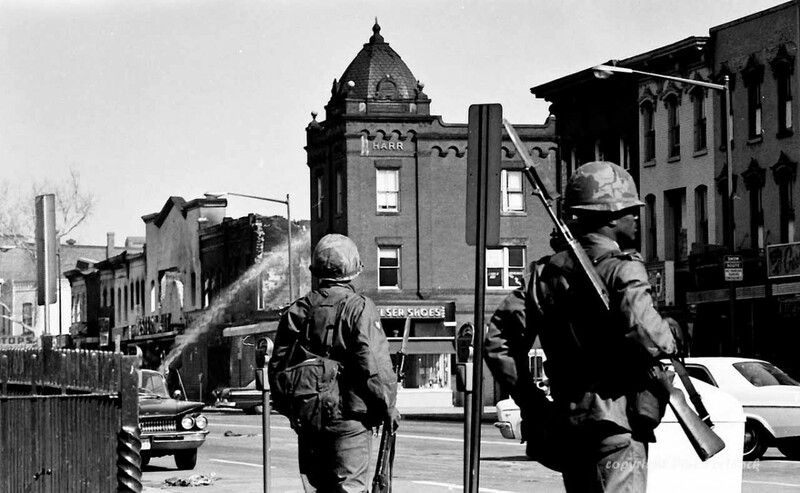 H Street NE after Dr. King's assassination. Image by Phil Portlock used with permission. 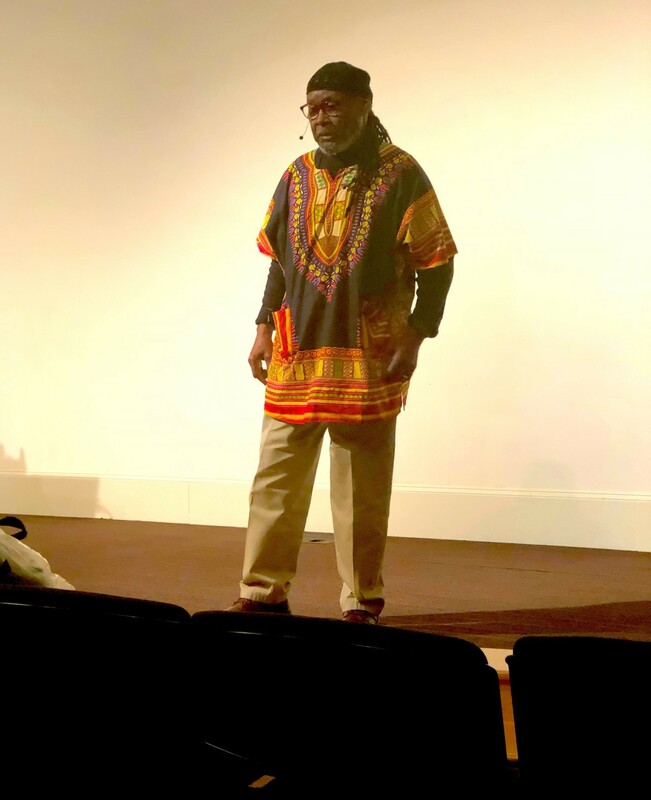 On December 16, 2018, Portlock spoke at the National Building Museum’s event 1968: Shaping the District’s Future, where I listened to him recount the demonstrations that followed the assassination of Dr. King. His name may also be familiar to Metro nerds because he served as a staff photographer at WMATA for 29 years. 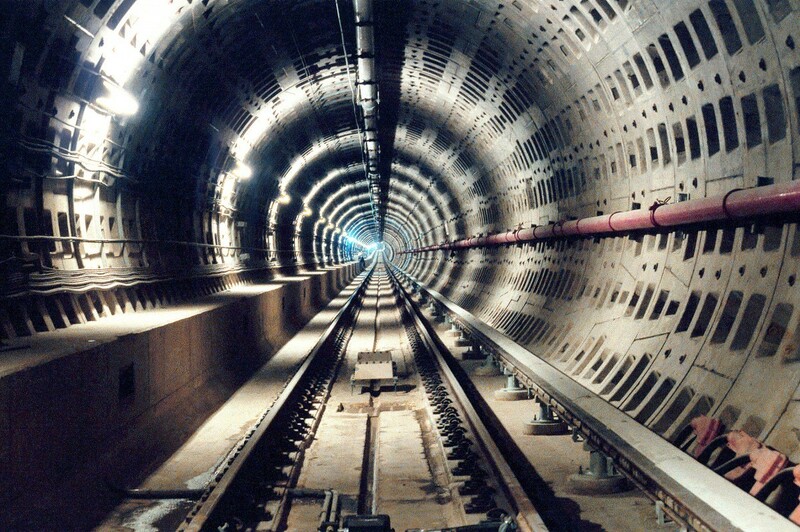 He shot many of its projects, including the construction of the Metrorail system. 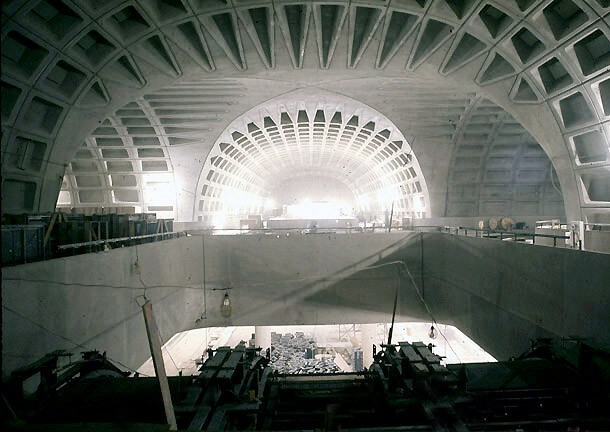 L'Enfant Plaza Metro Station under construction. Image by Phil Portlock used with permission. Metro construction in Navy Yard. Image by Phil Portlock used with permission. Imagine being a black man born and raised in DC. The civil rights leader who is fighting for your right to exist wholly in this society has just been murdered, your neighborhood is being burned down, and the police are out in force. Through the pain and hurt, you pick up your camera and photograph what is happening because you recognize how important it is to document what is happening in your community. Portlock also documented decades of DC’s most memorable moments in the social justice landscape, including The Poor People’s Campaign, anti-Vietnam War protests, the Welfare Rights movement, the Free Mandela movement, the 1995 Million Man March, DC Statehood movements, Black Lives Matter, the 2013 Supreme Court voting rights decision, and more recently, immigration and marriage equality. 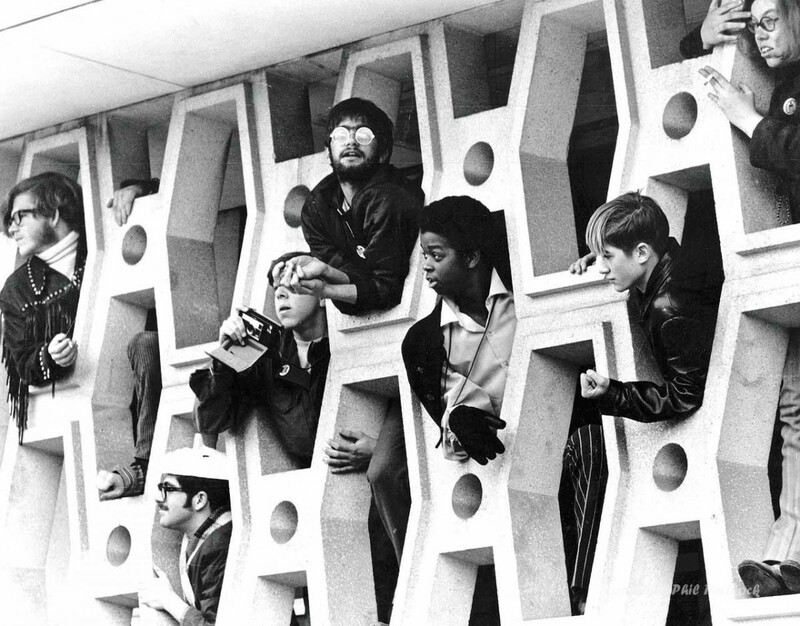 Portlock used his passion for photography to “remain awake through a great revolution,” and we are still fighting many of the same battles we fought in 1968. This event was part of the larger exhibit Community Policing in the Nation’s Capitol: Pilot District Project 1968-1973. 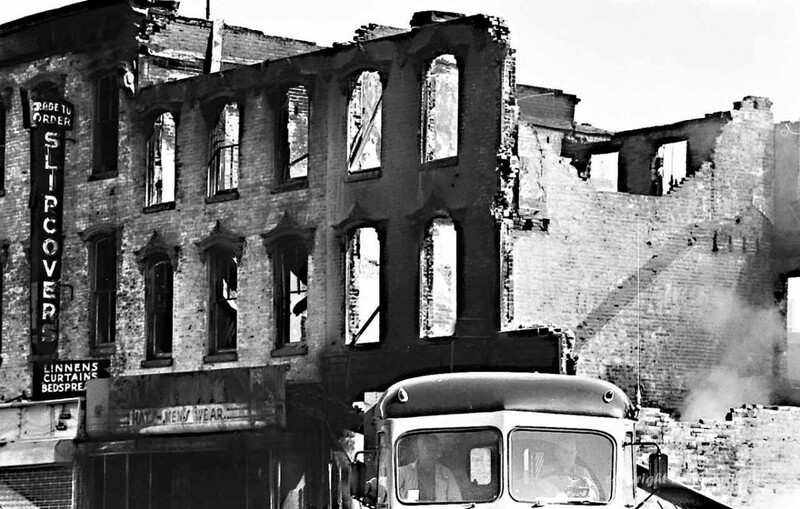 A variety of agencies took part including the Historical Society of Washington, DC, HumanitiesDC, National Fair Housing Alliance, Prologue DC’s Mapping Segregation project, and the Spring 1968 Photography and Oral History Project. Throughout the afternoon, guests were asked to reflect on how the events of 1968 shaped and continue to shape the District. As Portlock pointed out, and what many of the participants’ work signifies, there is still much work to be done in ensuring that we are creating a just built environment. For example, the Mapping Segregation Project shows historical segregation of DC’s housing, schools, playgrounds, and other public spaces. It highlights how historical segregation still shapes the District today. Poor People's Campaign, June 1968. Image by Phil Portlock used with permission. 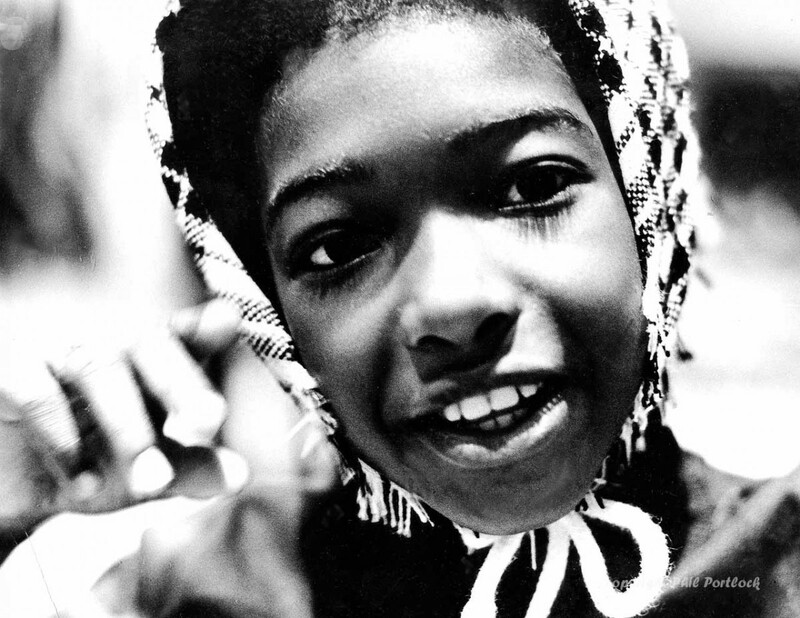 Poor People's Campaign, childrens' visit, May 1968. Image by Phil Portlock used with permission. 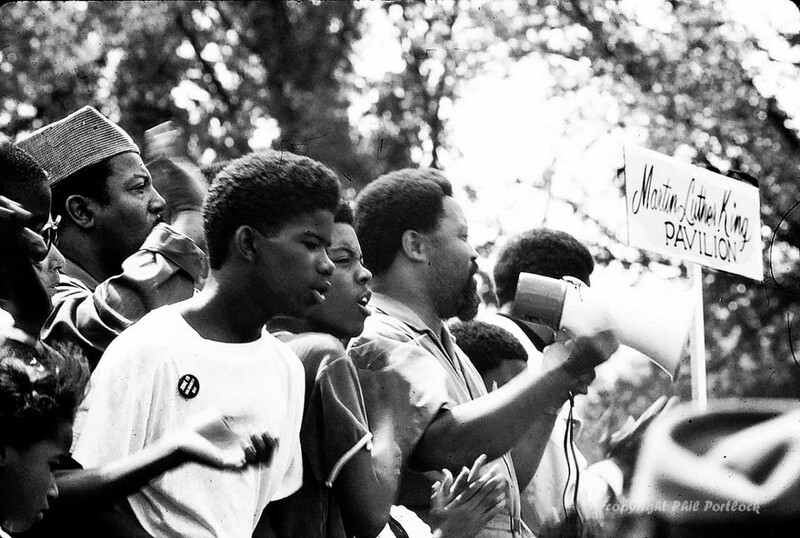 The Spring 1968 Photography & Oral History Project contains a selection of photos and videos from Dr. King's Poor People’s Campaign, a demonstration that addressed unemployment and the housing shortage for all people living in poverty. Organized by Ralph Abernathy after Dr. King was assassinated, Resurrection City was a part of his campaign. Resurrection City participants set up a protest camp on the National Mall for six weeks. Of course, we are still fighting for affordable housing today. Vietnam War protests in 1968. Image by Phil Portlock used with permission. 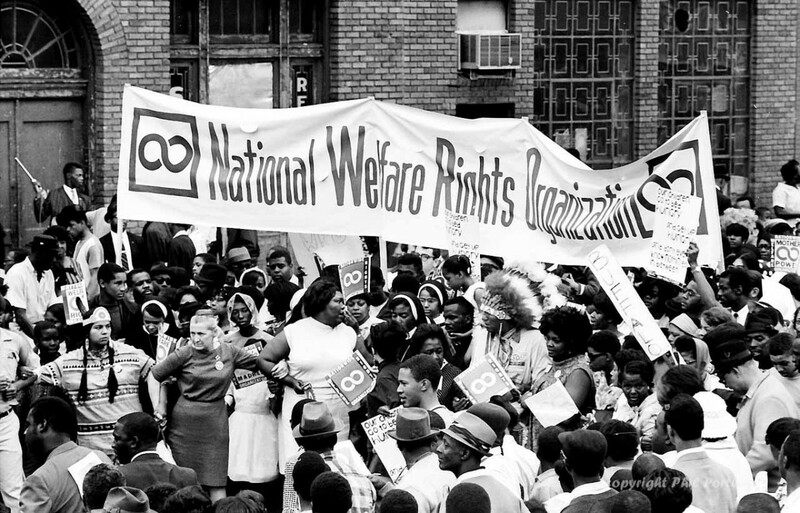 Welfare Mothers March on May 12, 1968. Image by Phil Portlock used with permission. Many of us got into the planning profession or are self-professed urbanists because we want to see a tangible change in our communities. If you are like myself, my form of activism is creating change in the built environment to create more just and equitable places. It’s frustrating to fight for these grand ideas, just to see bureaucracy, prejudice, and politics stand in the way.